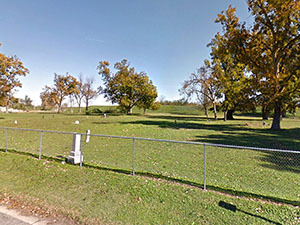 East Side Cemetery is located at the intersection of Russell St. & Virginia Ave in New Madrid, MO. East Side Cemetery is also known as, "Denhart Cemetery". DUNN, Laura, d. June 10, 1910, Wife of John Dunn Aged 65 Yrs. JOHNSON, Davis, b. Dec. 24, 1863, d. March 20, 1917, a--- Progressive Chamber-2593 New Madrid, MO. RIDDLE, Henry, MUS. Co. C, 4 U.S.C.H.A.R.T.